Then I rounded up and daddy didn't keep to his promise (Lol!) but he later did, and that was right after high school. I really showed off with it (Lol!) and I can recall seeing the 'Uncle' that tutored me few years later, and my Dad was telling him all that I have been involved with (proud dad moment...Lol!) and he was super impressed that I had learnt very well. Shortcuts are life savers! And for you to use Microsoft Word effectively, one must learn these shortcuts very well especially for career people. Though 'Uncle' didn't teach me all the shortcuts back then, he did show me the necessary ones and as I sharpened my skills, I learnt more. This has aided and improved my level of efficiency in the use of MS Word, MS Excel, etc. This is why, I decided to share some of the top useful MS Word shortcut keys including their functions to aid you as well. So, here we go! NOTE: The + sign actually mean that you should hold down both keys at the same time. Do you make use of shortcuts while typing? What shortcut keys works best for you? When did you learn computer skills? What was your experience like? 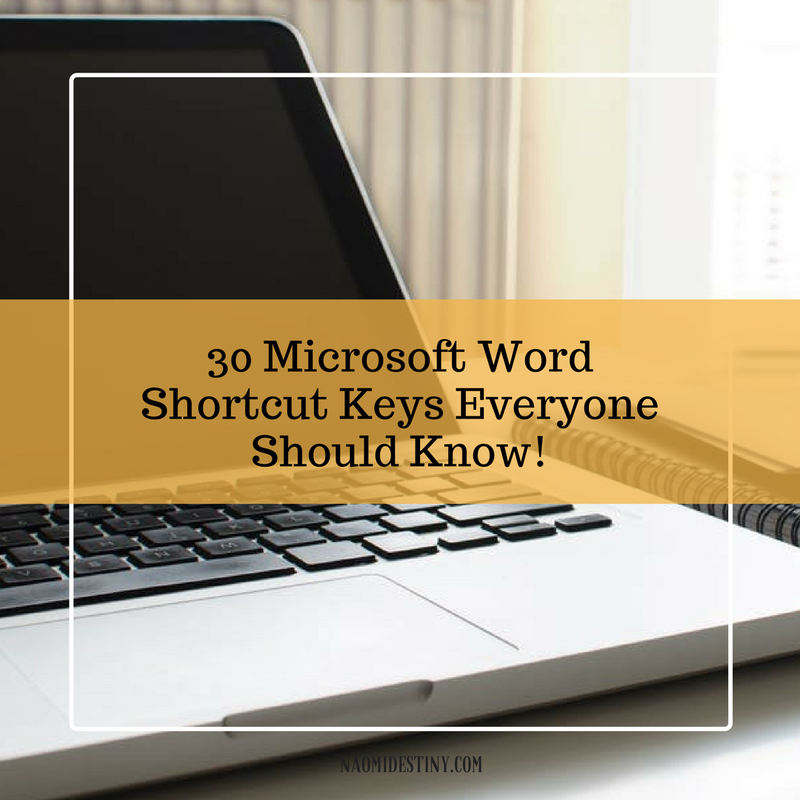 Do you know of other shortcut keys? Kindly share your thoughts with me below..
First thing I looked out for when I saw this post was how to change from a upper case to lower case and thankfully it came first on the list. Thanks for your helpful post as always! Wow, this is so helpful!! I use shortcuts for some things, but always forget there is one for just about everything! Thanks for sharing! Kelly, I'm glad you found the post helpful. Thanks for reading! Haha...I could imagine how frustrating it was😊 Thanks for stopping by Kamila! These are so helpful! I had an interview last year where a whole section was on excel shortcuts and I didn't know enough of them! I wish I would have seen this before that (: I love the story about your childhood too! This is awesome!!! I am kicking myself for not knowing some of these before now! Great post. There are a couple on here I didn't even know about.